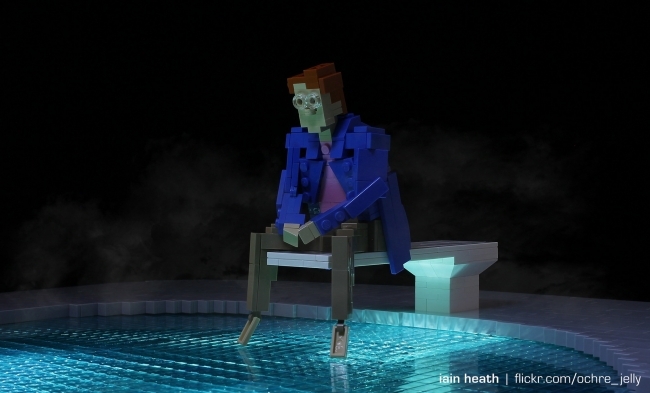 LEGO enthusiast Iain Heath aka Ochre Jelly (previously) recreates the scene from season one of Stranger Things in which Barb is sitting alone on the swimming pool's diving board at Steve Harrington's house, before getting snatched by the Demogorgon. My latest LEGO creation. The pool effect was created using rare transparent baseplace pieces, covered in transparent blue tiles, and lit from below using the flashlight from my smartphone!